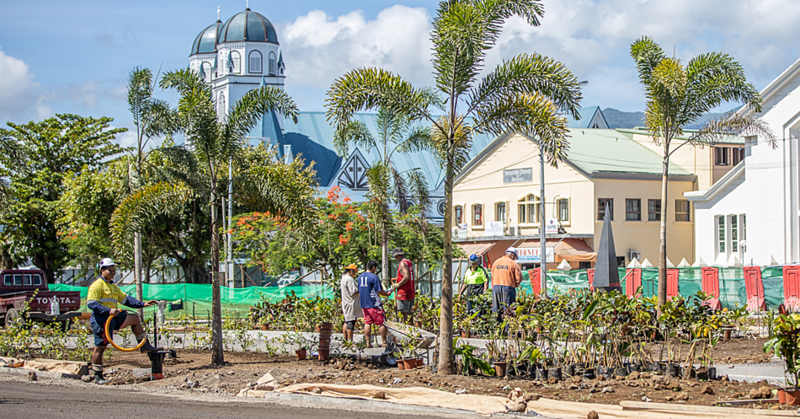 When Rodger McCutcheon decided to move with his business from Tonga to the Samoan Archipelago about one year ago, the first person he met was Prime Minister Tuilaepa Sailele Malielegaoi. 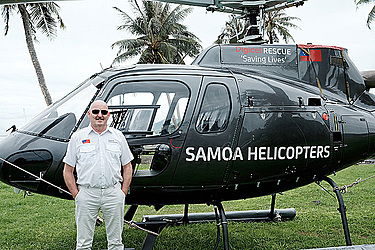 With this step, Mr. McCutcheon not only tried to establish a rescue service in Samoa, his helicopter is also used for purposes concerning tourism in the country. “Most of the incoming bookings we receive are made on Facebook and include requests for weddings, scenic flights or transfers”. However, the company’s main goal, which is to serve for the country as a rescue service, is still held up by a lack of publicity for the company. “We could absolutely do a rescue mission right now. If somebody would call now, we could lift off immediately, there is no problem with that. To improve the cooperation with the local hospital, Mr. McCutcheon also has a concrete vision, which includes the formation of a trust for his company. 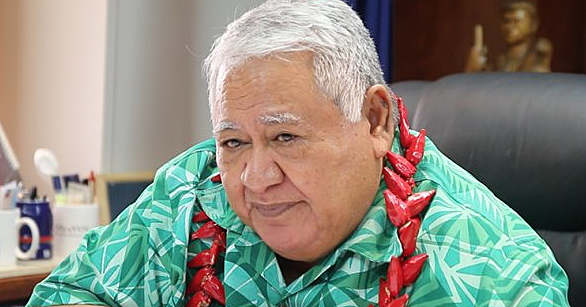 According to Mr. McCutcheon, a plan to set up such a trust for his service in Samoa is already in the works. With this in the works, Mr. McCutcheon already has some plans for the future of Samoa Helicopters in mind, which include the expansion of the fleet. “Currently we use only one helicopter for both businesses, tourism and rescue service. Our main focus certainly is to use one additional helicopter which would then be used for rescue purposes only,” he explains. Mr. McCutcheon also spoke out about the recent tragedy that happened in Apia with the explosion of a fuel tank at the city’s main wharf, where one worker lost his life. “First I have to explain that from a helicopter’s angle, it is possible to see things in a way that otherwise is not available. “From emergency’s point of view, the helicopter could have been used to estimate the danger or at least to provide footage for the local media. Samoa Helicopters can be reached at the emergency number 7288228.